With vast experience and knowledge we are involved in offering a wide range of Drain Pans. These pans are fabricated with optimum quality raw material under the supervision of our quality controllers to ensure a high quality and defect free assortment. This offered range is manufactured in close compliance with organization laid quality parameters and availed by the clients at affordable prices. We welcome queries for Storage Tanks & Fabrication Services from South India region like Dravida including Andhra Pradesh, Karnataka, Kerala and Tamil Nadu. We offer our clients an exclusive collection of Drain Pans that is manufactured, exported and supplied by us to our esteemed clients. These pans are fabricated with optimum quality raw material under the supervision of our quality controllers to ensure a high quality and defect free assortment. This product is manufactured with highly developed machines and technology that ensures complete drainage of the condensate & prevents growth of microbes during off or heating cycles. 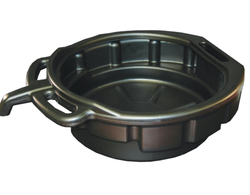 Our valued clients can avail these finest pans at cost effective rates. Looking for Drain Pans ?